A lot happened this week. Microsoft releases Internet Explorer Developer Channel. 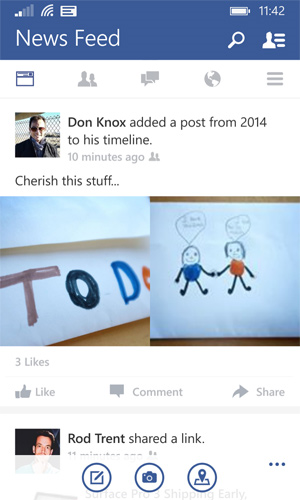 Facebook Beta for Windows Phone gets a big update. Surface Pro 3 is now on sale. Amazon announces a phone about which I couldn’t care less. Let’s get to it! 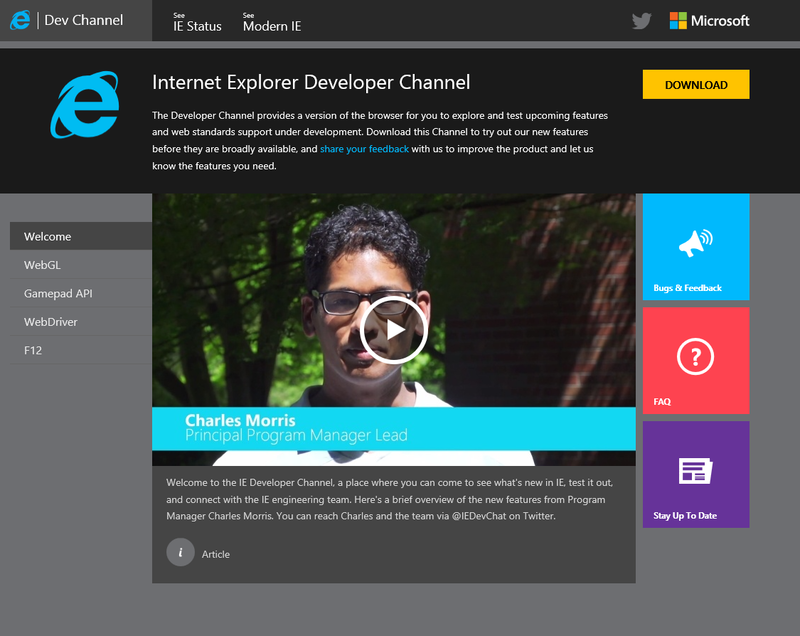 Microsoft released Internet Explorer Developer channel this week. This version of Internet Explorer runs alongside of your current version so that anyone can install it without the risk of losing a stable browser. The Developer Channel of Internet Explorer contains the latest features right out of the oven. They are features Microsoft is building for a future version of Internet Explorer. Developers and enthusiasts can give it a test run and give Microsoft valuable feedback. One interesting note is whether this version of IE Dev Channel will be automatically updated. I am guessing not; I believe when IE DC2 is released, we will need to install it. I make this assertion because I haven’t seen any auto-update mechanism enabled in IE Dev Channel. Of course, all this may change. Oh, and if you were wondering, the reason IE Dev Channel can run side-by-side with IE11 is because of Microsoft’s App-V application virtualization technology. You can learn more from the Wikipedia link I provided below. Microsoft updated the Facebook beta application for Windows Phone. The update brings a huge increase in performance and a beautiful user interface. The new UI makes the application a pleasant experience to use, and it brings it on par with the Android version of Facebook. Download link is below. You can now order the Surface Pro 3. However, if you want your choice of processors or a dock to go with your Surface, then you still have to wait a little bit. You may be able to pre-order them, however. Amazon announces the Fire Phone. It is a high-end phone, but there’s just one problem. There is a massive lack of apps. In fact, there is about the same number of apps in the Amazon App Store for Android as there is on the Windows phone. You will not get any Google apps, and will enjoy only a handful of Microsoft apps. There is No skype, no Gmail, no YouTube, no play store; oh, there’s no Google Now or Siri either. $700??? Seriously??? I am not paying the price of a brand new PC for a phone with no apps. Sorry, this phone is useless. Why would I pay the same price as the iPhone 5S for this crippled Amazon phone? For the piece, I get the high end iPhone, brand new, with over a million apps, great UI, and Siri. It’s like saying “Oh, Windows Phone isn’t behind; it’s just like Android was three years ago”. This phone would be great in 2009. If you care about the Amazon Fire Phone, click here.